You will love the attention to detail in this amazing 5 Bedroom / 2 Bath Rambler. The main level features an eat-in kitchen w/ white enamel cabinets and SS appliances that opens to a Great Room w/ vaulted wood ceilings. Additional main level features include: hardwood floors, 3 Bedrooms and bathroom that has been completely updated throughout with amazing tile. The lower lever features include: 2 finished Bedrooms, bathroom with tile throughout and partially finished Family Room ready for your finishing touches. The fenced backyard features a patio, large deck with pergola and mature trees and landscaping. 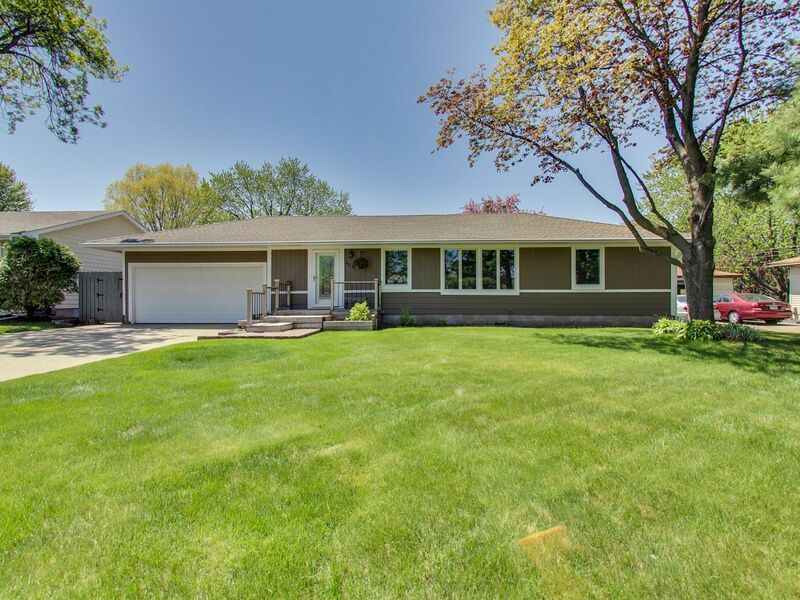 Don’t miss the amazing double deep garage with additional garage door to access the back yard. PLEASE READ! 4313Amber.Com REQUIRES CONSIDERATION FOR AND AS A CONDITION OF ALLOWING YOU ACCESS. ALL PERSONS UNDER THE AGE OF 18 ARE DENIED ACCESS TO 4313Amber.Com. IF YOU ARE UNDER 18 YEARS OF AGE, IT IS UNLAWFUL FOR YOU TO VISIT, READ, OR INTERACT WITH 4313Amber.Com OR ITS CONTENTS IN ANY MANNER. 4313Amber.Com SPECIFICALLY DENIES ACCESS TO ANY INDIVIDUAL THAT IS COVERED BY THE CHILD ONLINE PRIVACY ACT (COPA) OF 1998. 4313Amber.Com contains links to other web sites. Please note that when you click on one of these links, you are moving to another web site. We encourage you to read the privacy statements of these linked sites as their privacy policies may differ from ours. Do you have a good faith belief that your intellectual property rights have been violated by Barker Hedges Group? Do you have a good faith belief that a third party may have uploaded content to 4313Amber.Com? 1. Please describe the copyrighted material, work or other intellectual property (collectively "Material") which you believe is being infringed upon, and where on the 4313Amber.Com website the Material is located.